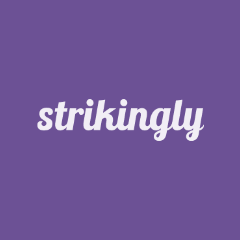 Strikingly is a world-class website publishing platform offering professionally designed websites, with powerful features for any business. Small businesses. Online stores with full ecommerce. Personal branding. Organization sites. Event sites. Startup landing pages. Creative portfolios. Strikingly supports millions of websites across the world. WHAT FEATURES DOES IT COME WITH? Editor - The easiest website editor in the world. Add from a large variety of sections to build your site. Add images, videos, galleries, text boxes, backgrounds, contact forms, signup forms, maps, and more. Choose from a huge variety of templates, colors, fonts, and styles. Blogging - Incredibly easy blogging capabilities. Write as many blog posts as you want to keep your visitors updated. Visitors can comment and subscribe to your blog. Ecommerce - Powerful ecommerce capabilities for your business. Sell up to 300 products on your site. We support integrations with Stripe, PayPal, WeChat Pay, and Alipay so you can get paid directly. Set product options, shipping options, and categories. Review and complete your orders in an easy-to-use dashboard. Form responses - View all your form responses in a simple dashboard. Accept signups, subscriptions, and messages easily through your site. Export forms data to other services to send newsletters. Analytics - Built-in analytics for your site. See where site visitors are coming from and when they’ve visited. See most viewed pages, most viewed blog posts, total ecommerce sales, and more. Android/iOS app - Strikingly customers get access to our 5-star Android and iOS apps to edit your sites, complete ecommerce orders, view forms, and view site analytics on the go. Just search "Strikingly"
Note: With this special Alibaba version of Strikingly Free Plan, you will be able to access all of the premium assets, including video backgrounds, premium icons, and premium high quality images. Under this plan, you can publish your website using a Strikingly subdomain. If you want to use a custom domain instead, you can contact us to upgrade to one of our premium plans by emailing alibaba-cloud@strikingly.com. Thank you! Please make sure you read through the Product User Guide above for setup instructions. If you still have further questions, you can email our support at alibaba-cloud@strikingly.com.